The Augusta National is one of the toughest tests on the golf circuit. But it’s also known as one of the most picturesque golf courses in the world. It can seduce you with its beauty yet has the ability to kick you when you’re down and keep you there. 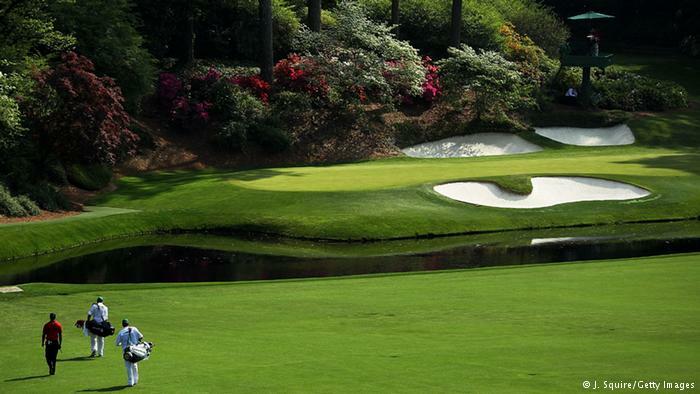 The competitors will do well to keep their eyes focused on the fairways and off the flowers when they tee off in this Thursday at the 2015 Masters, the first golfing major of the year. “This golf course really focuses the mind. It’s a proper test, but I’ve been ­playing pretty nicely in practice. I could just do with a few putts going in,” said one of the main competitors, 39-year-old Welshman Jamie Donaldson, who has been grouped with former world No.1 Tiger Woods. The hard part of playing the Augusta National happens on the green. It’s a chipping and putting contest. The course is pristine, and it’s impossible to lose a ball unless it finds water. This year there are plenty of youth in the battle, who are vying to become Golfdom’s youngest winners. Rory Mcllroy, age 25, is hunting a Masters win to give him a lifetime Grand Slam, and he seems ready to accept the pressure it takes to get this achievement. Two other 20-somethings, Rickie Fowler and Jordan Spieth, lok likelt to be in one of the final twosomes with Justin Rose, experts are predicting. There are some major storylines developing as Tiger Woods returns and the “Annual Tiger Watch” will attract a large gallery for the practice rounds as always, Bubba Watson will look to defend his title and Martin Kaymer shall fly the German flag. Woods is coming back for a 20th time, having won it four times at the Augusta. If you look back, long ago golfing legend Jack Nicklaus who won the course six times, told Woods after his first win that he’d probably win more titles than he had. But his prediction still hasn’t come to fruition, ten years on from Wood’s last win many will be looking to see if the Tiger can roar again. If he ever will, this is the time to show it. At a press conference held on Tuesday before the Augusta National, Woods told media, “People would never understand how much work I put into it, to come back and do this again. But it was sun-up to sun-down, and whenever I had free time. If the kids were asleep, I’d still be doing it, and then when they were in school, I’d still be doing it. So it was a lot of work.” He recently fell out of golf’s top 100 ranked players. Lost years to injury and age, he had to redefine his playing style. Older and suffering from back problems he now has to face a whole new generation of young players who have risen in the ranks, in his wake. The US is not the only country that is presenting some major contenders, Germany is betting to win the tournament on the skills and back of Martin Kaymer. He’s a two-time major winner who is within reach of a career grand slam of major wins. He has visited Augusta seventimes, but the 30-year old has struggled with the Masters. His last year’s finish was a tie for 31st place, which was also his best result. Kaymer is currently ranked 13th best in the world and plays with the functionality and precision that his fellow countrymen are known for. “Halfway sounds close, but it’s still far away,” Kaymer joked with media after a practice round earlier this week. He won the US Open last year and the PGA Championship in 2010, only the Masters and the Open are missing from his win column. “It’s a career goal, but it’s a long way away,” he admitted. He is being humble, and has a great chance to make a strong finish this year. Kaymer has been taking advice from fellow German Bernhard Langer, who is a two-time Masters champion. He practiced with Langer on Tuesday, who has a lifetime invitation to enter the event. In contrast, Rory McIlroy, the Northern-Irishman is the current world number one. He wants very badly to complete his career grand slam at the impressive age of 25. He won the PGA Championship and the Open Championship last year, but has had trouble competing at the famous course and grappling with its features. He he has threes 77s here. And that’s why it’s widely believed, as beautiful as Augusta is, the harder she is to tame, for any champion.